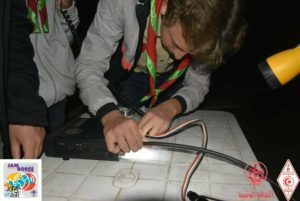 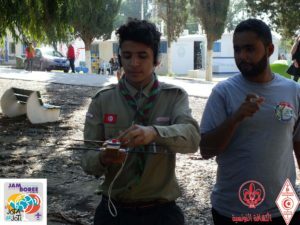 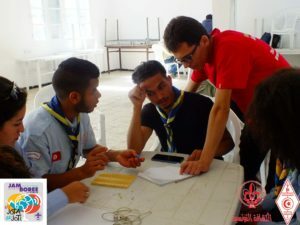 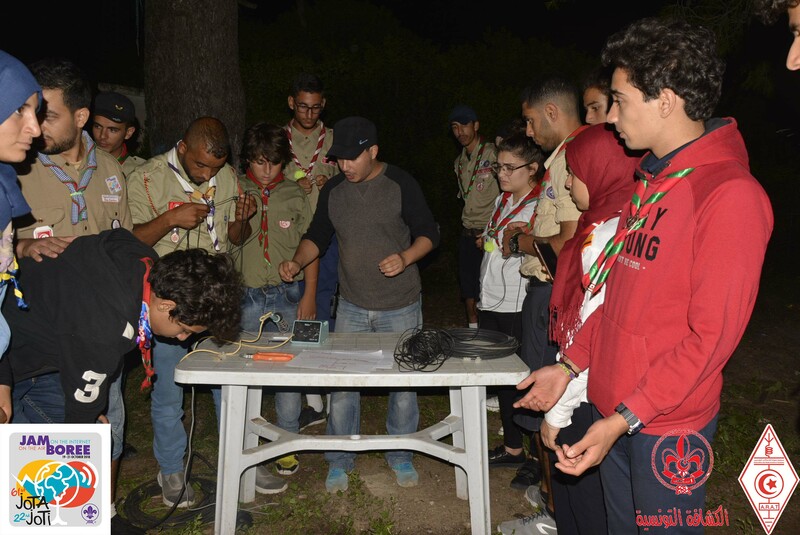 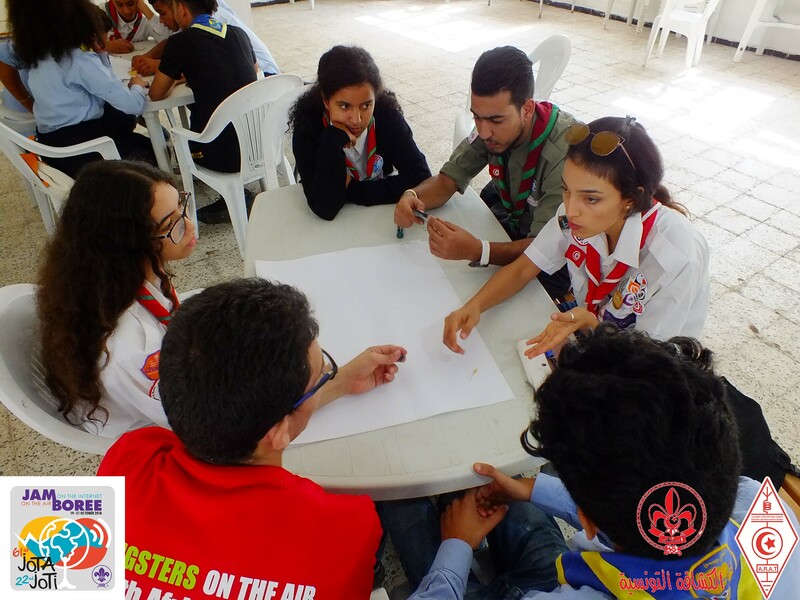 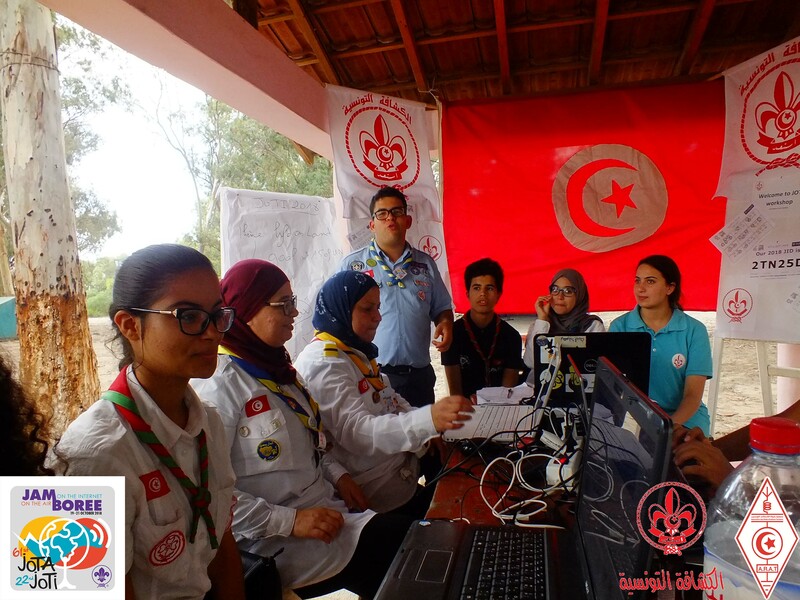 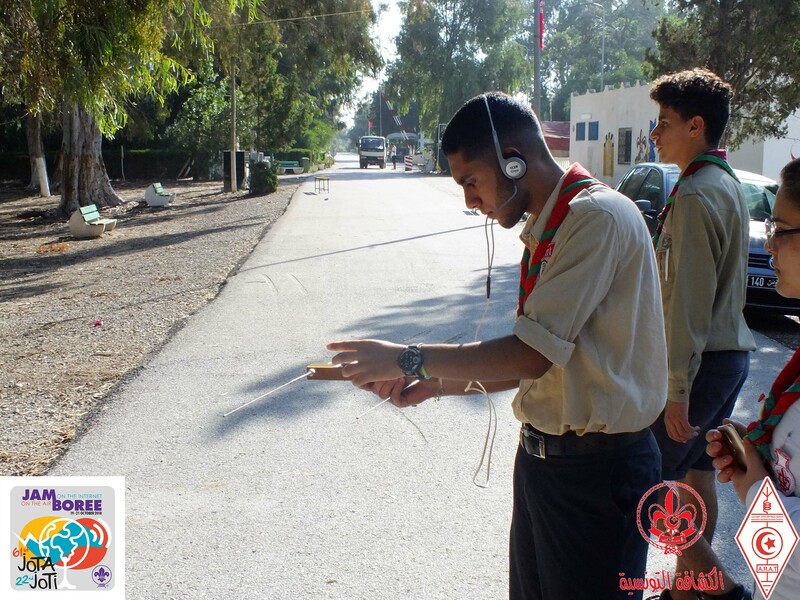 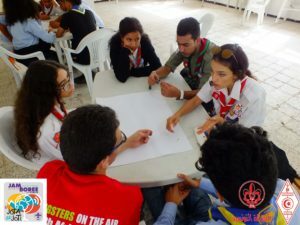 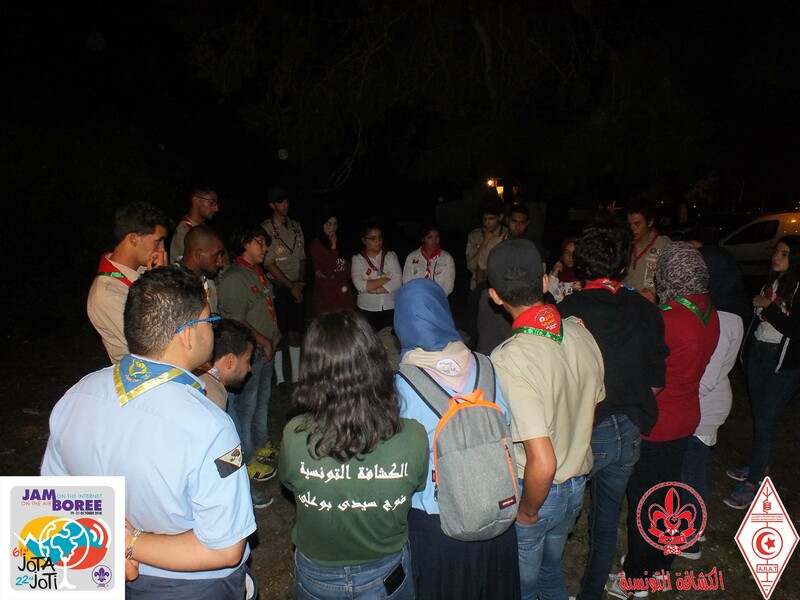 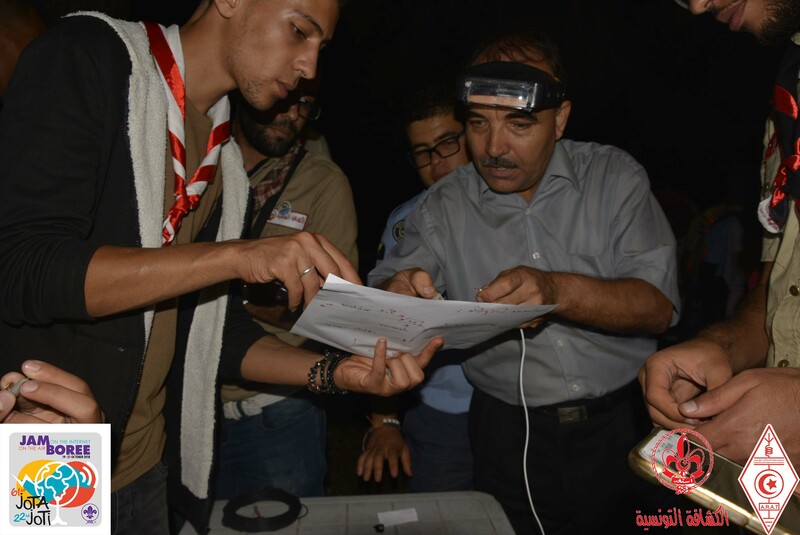 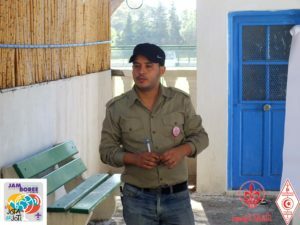 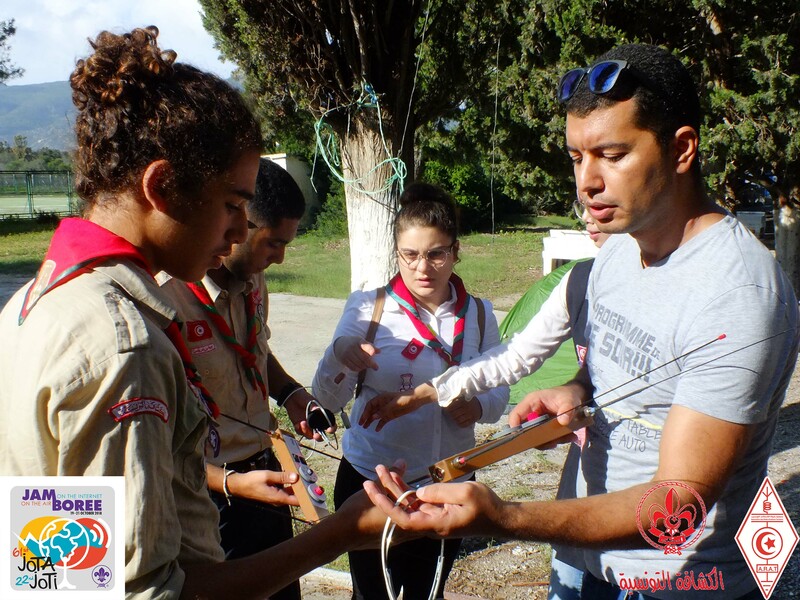 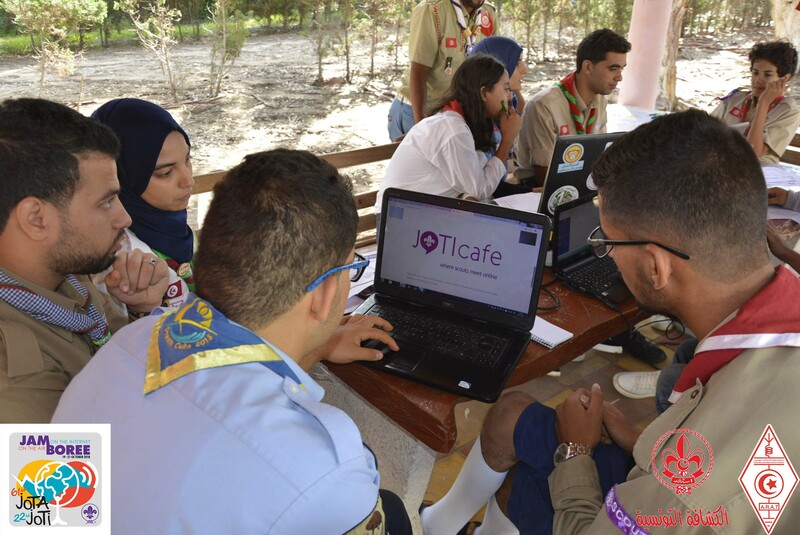 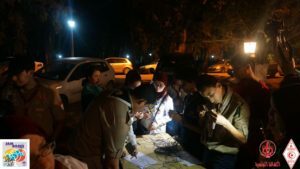 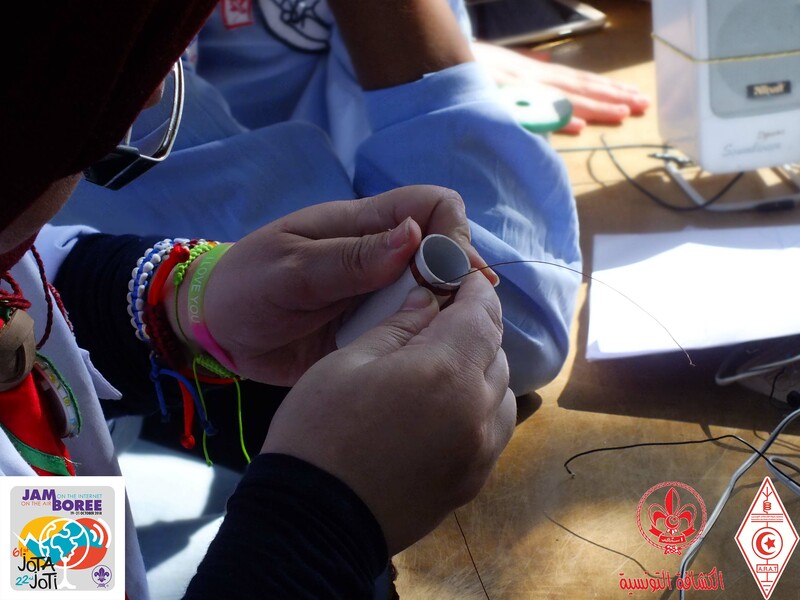 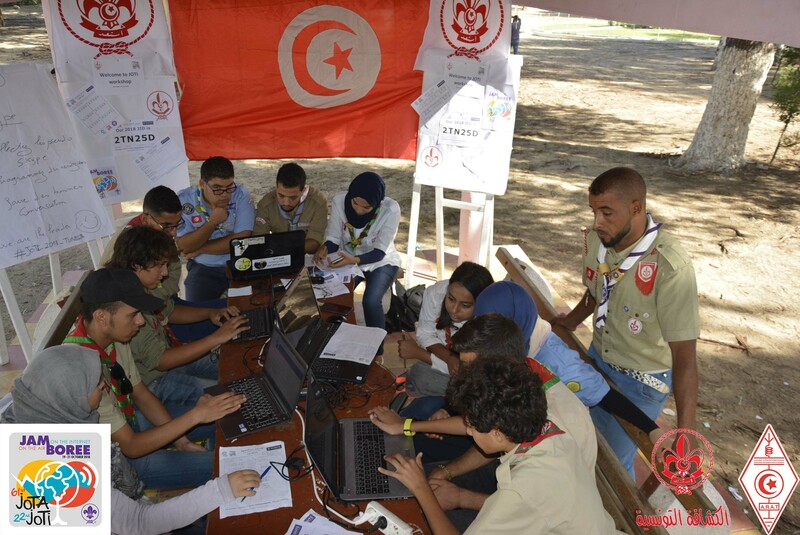 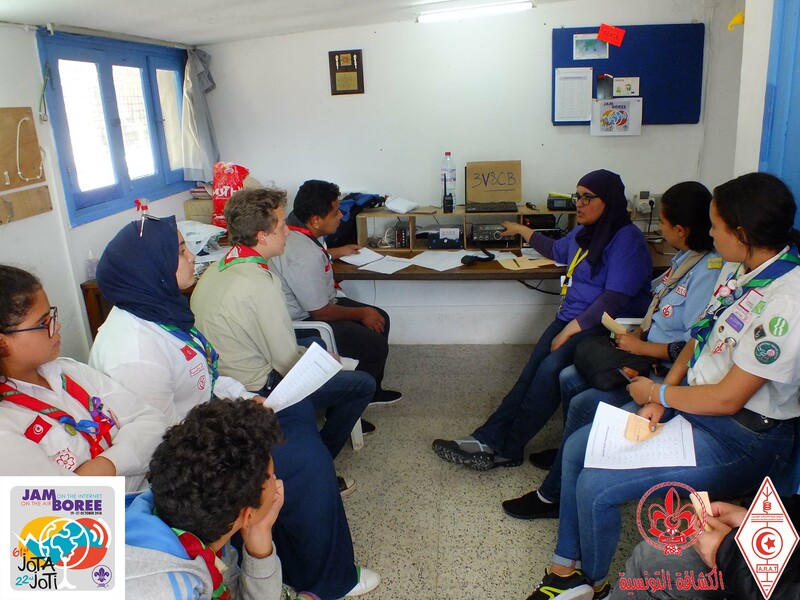 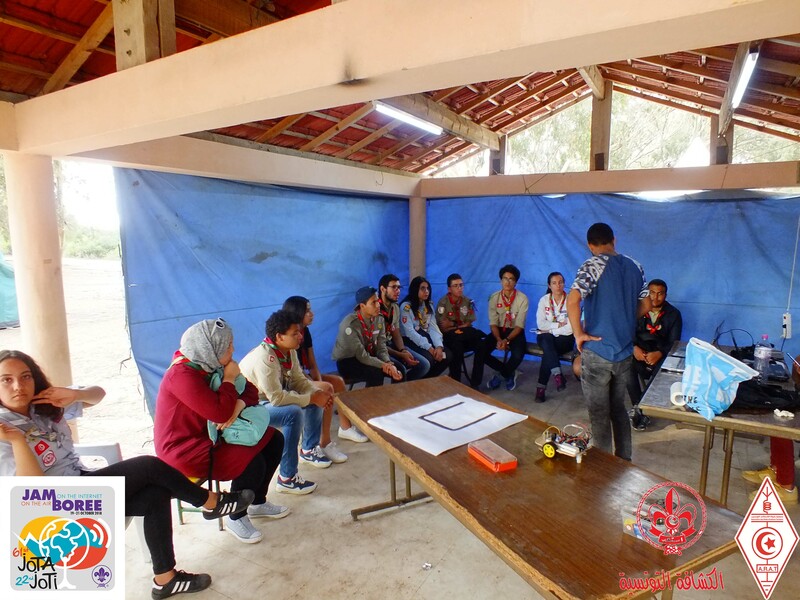 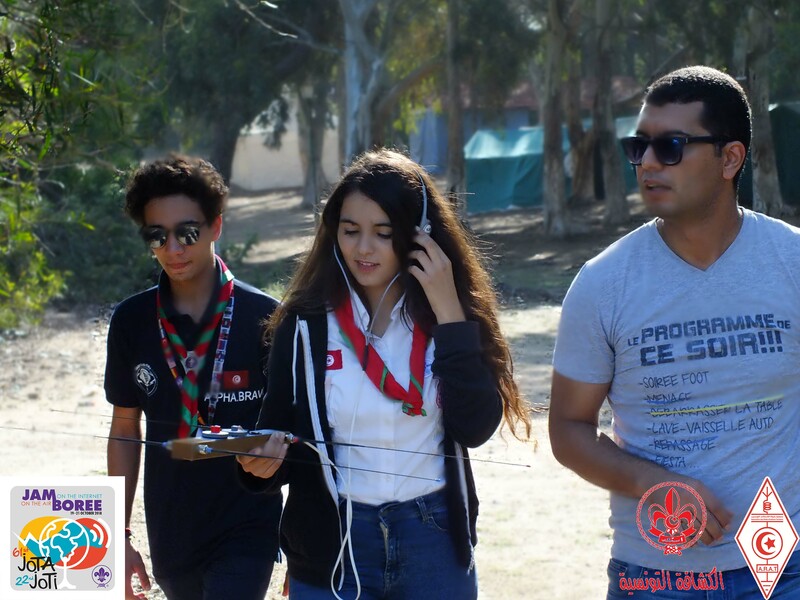 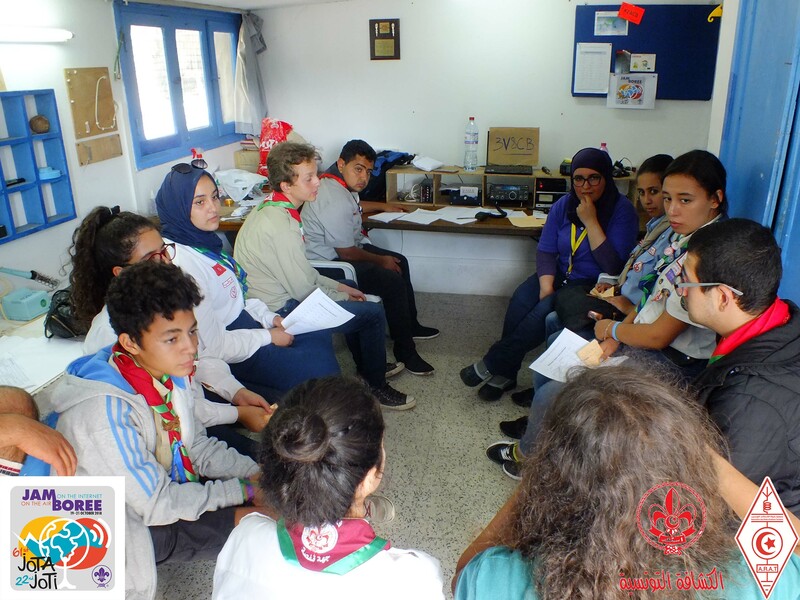 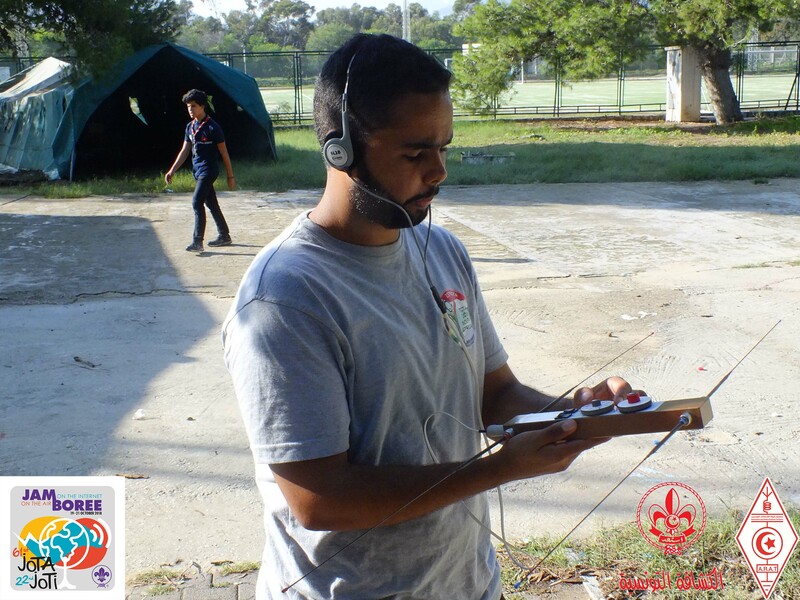 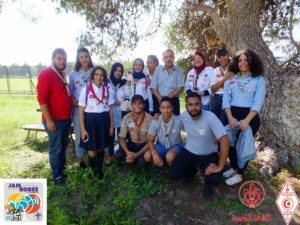 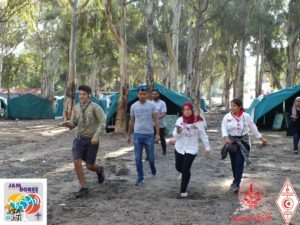 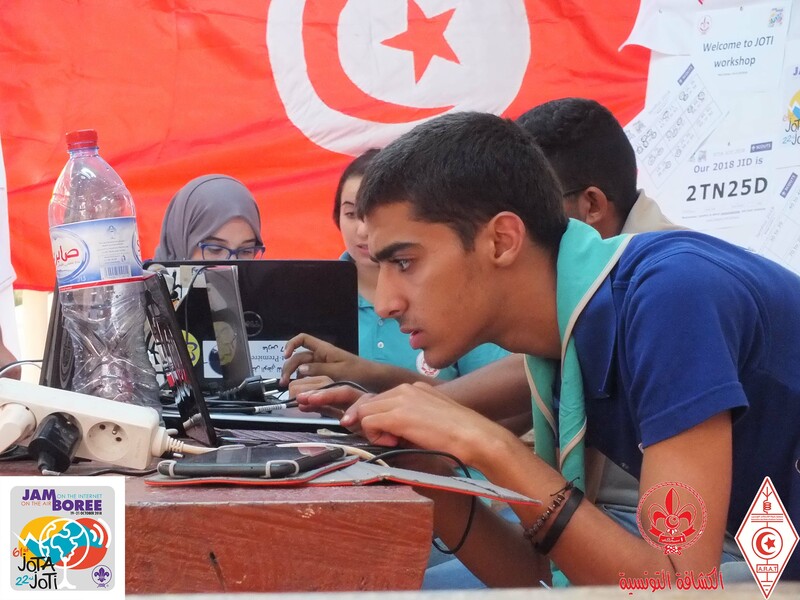 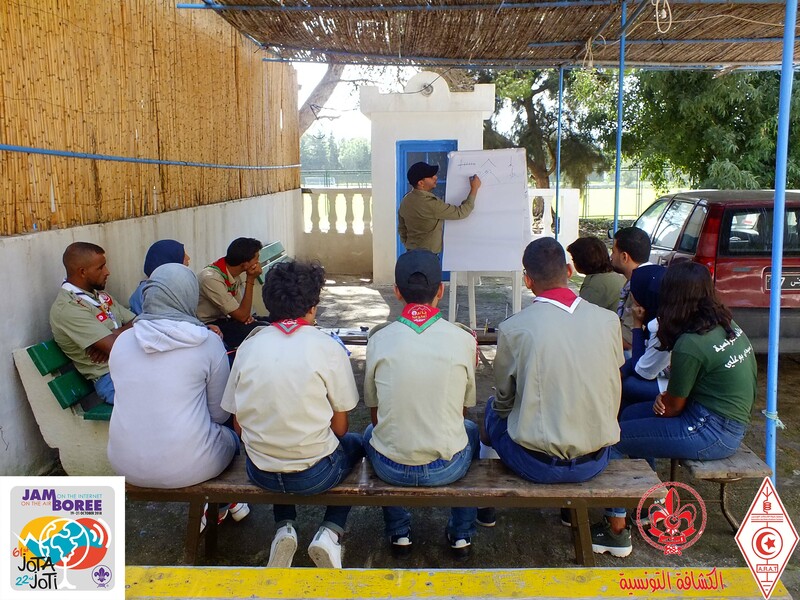 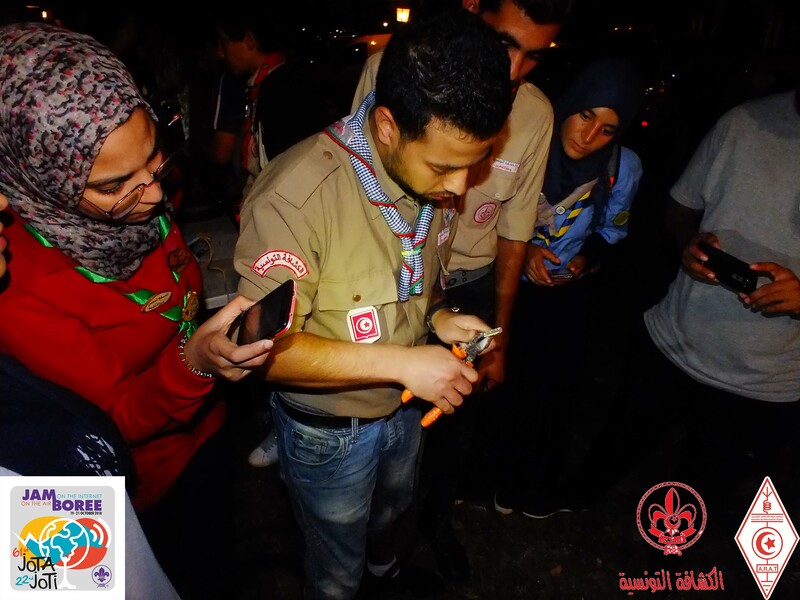 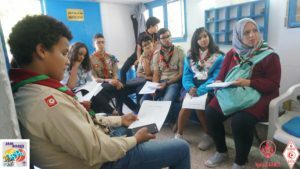 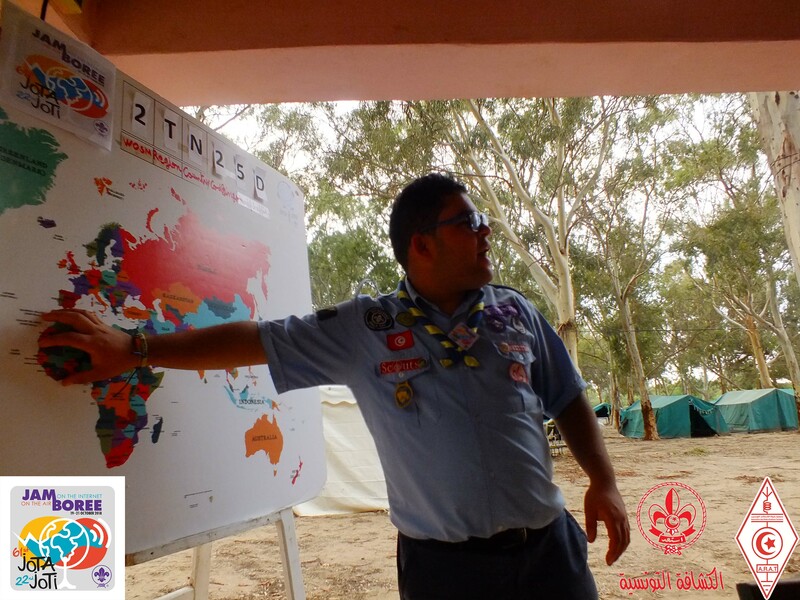 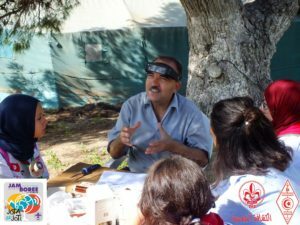 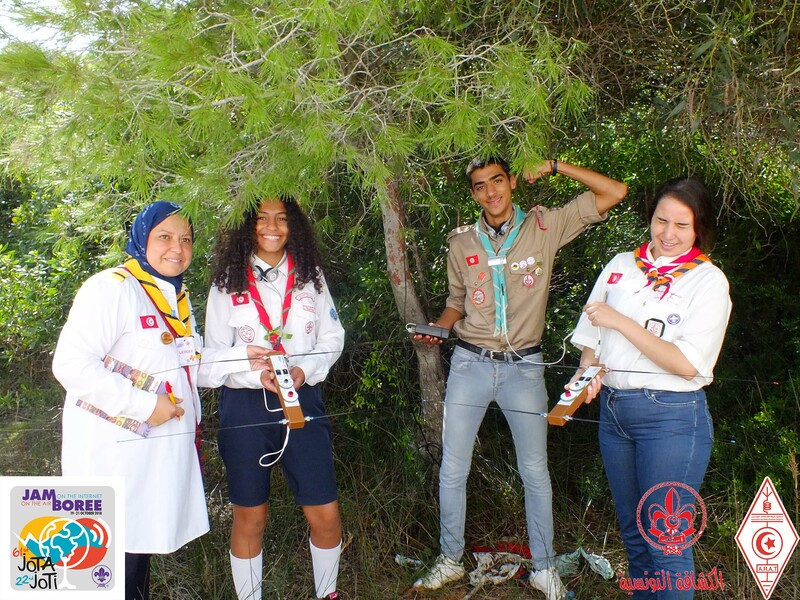 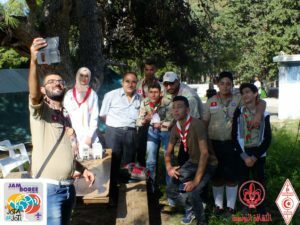 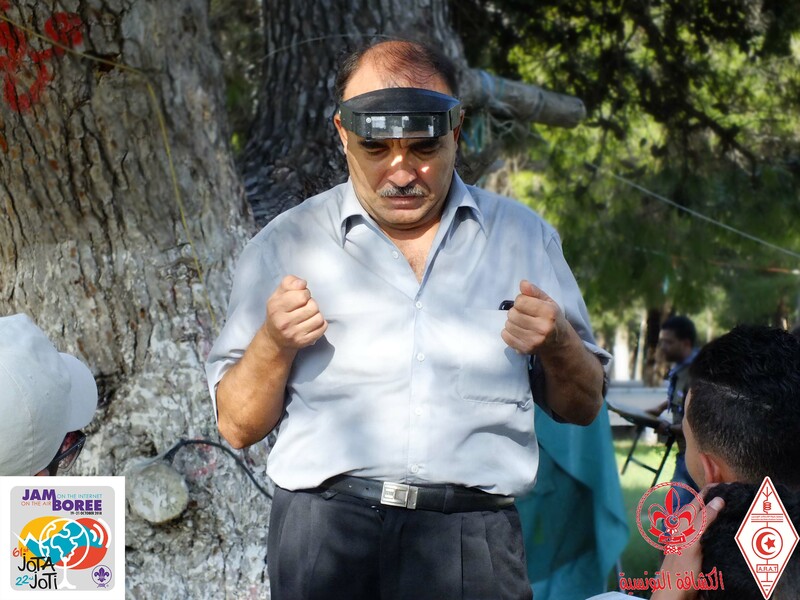 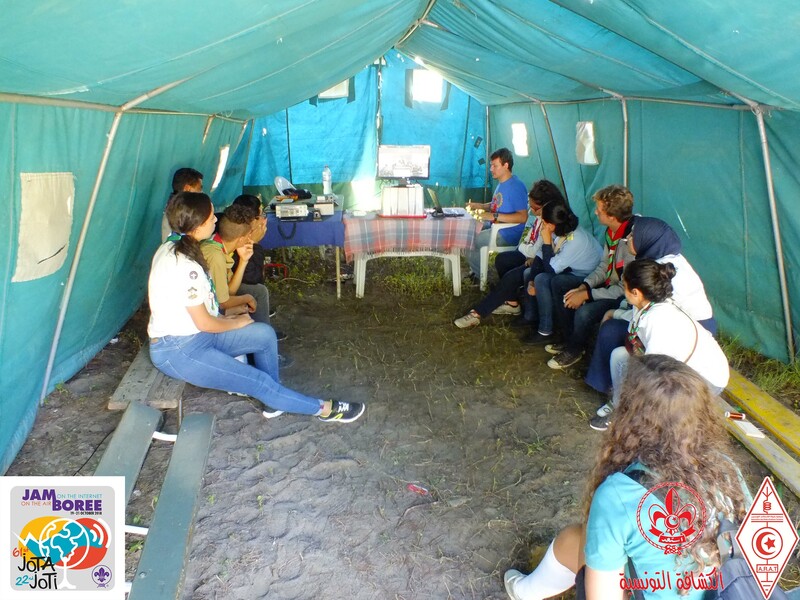 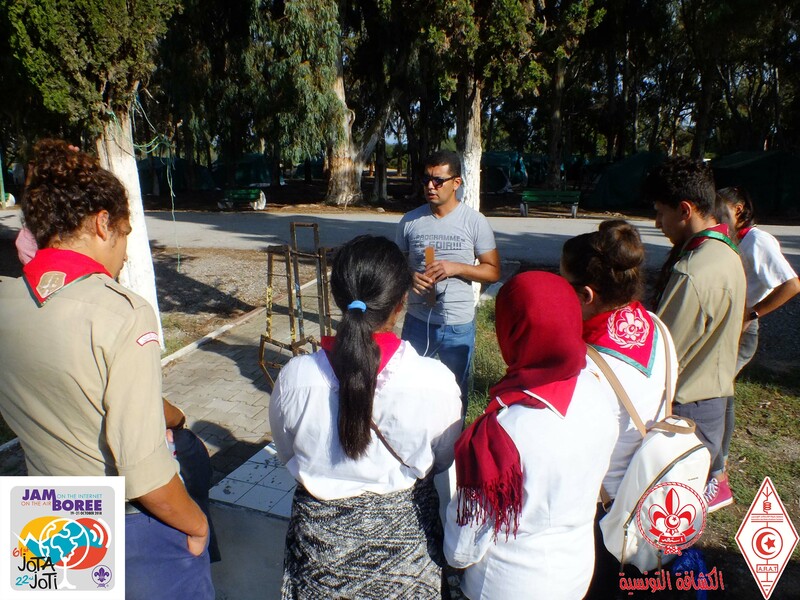 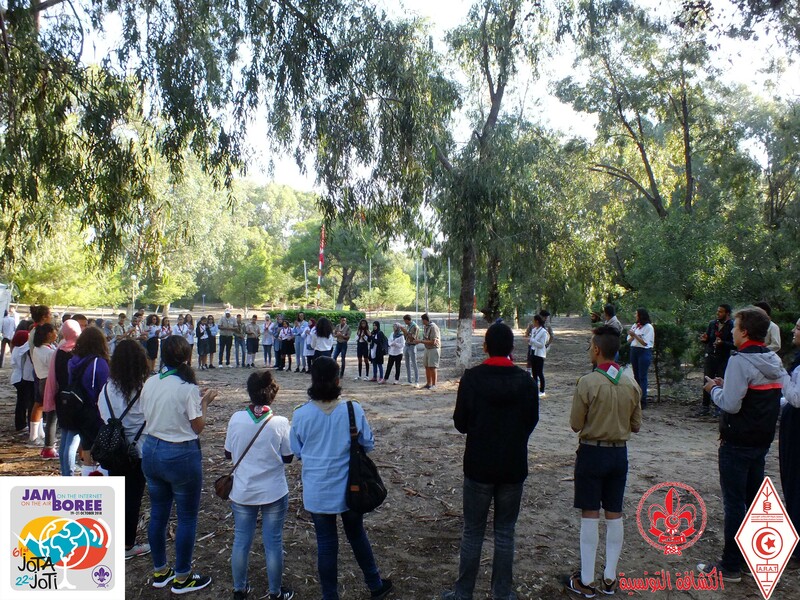 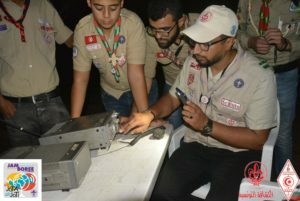 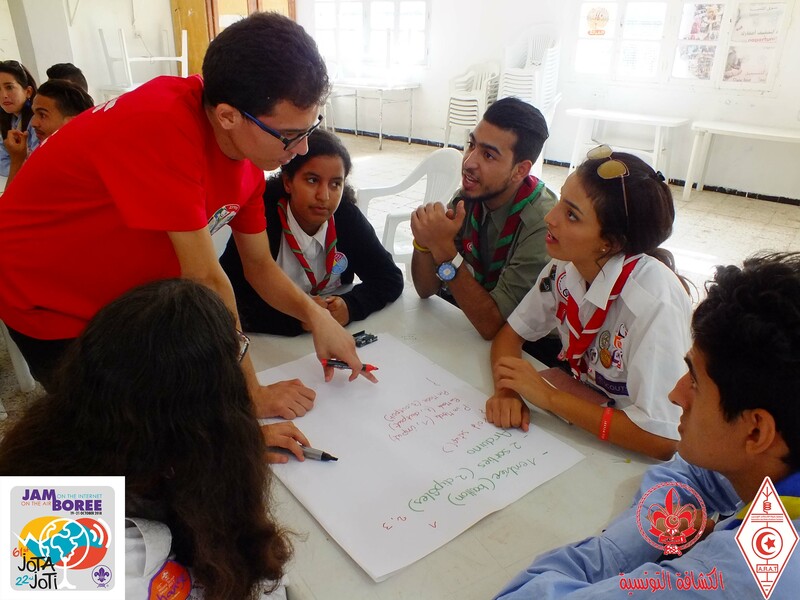 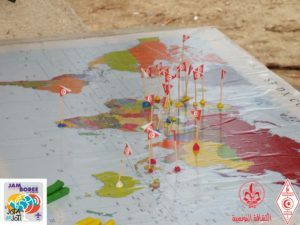 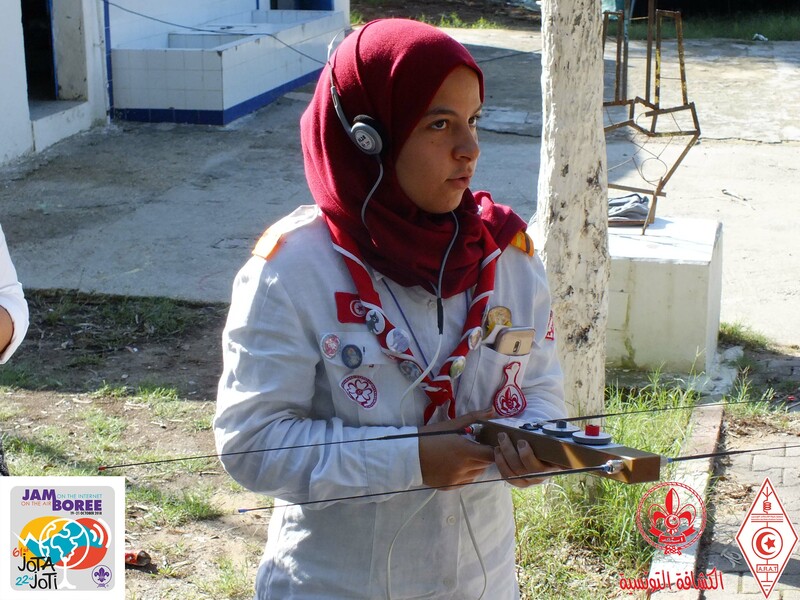 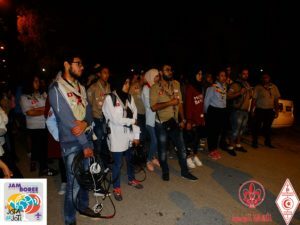 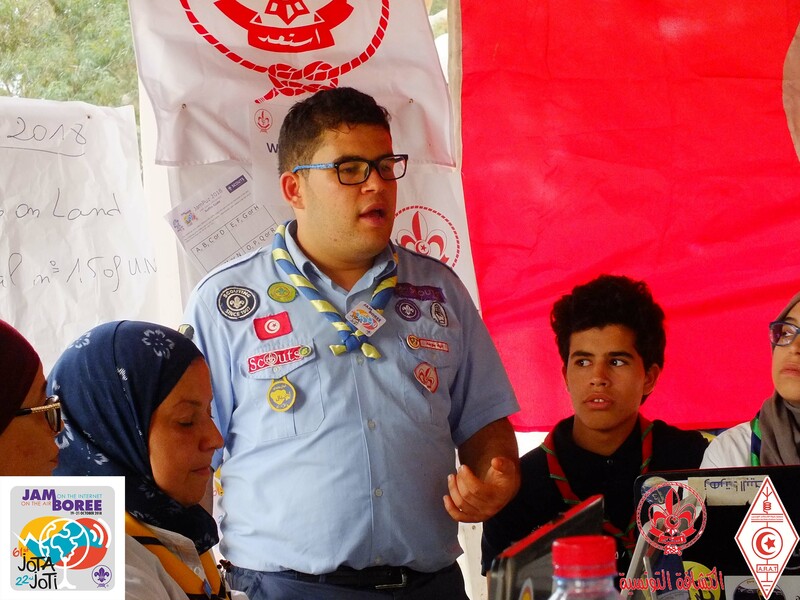 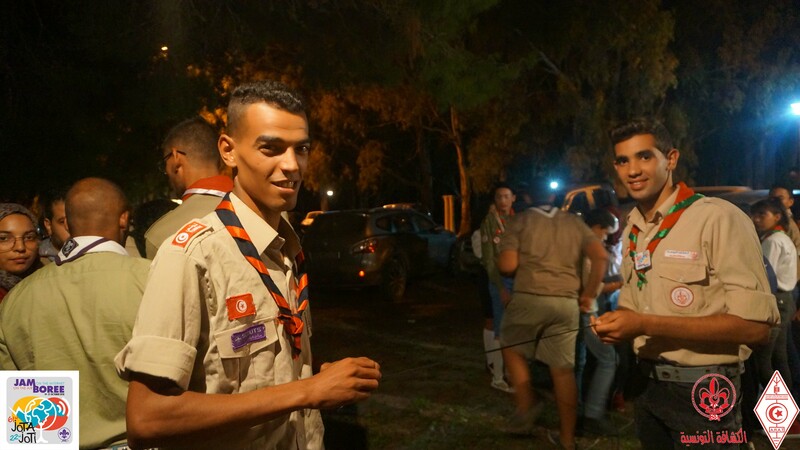 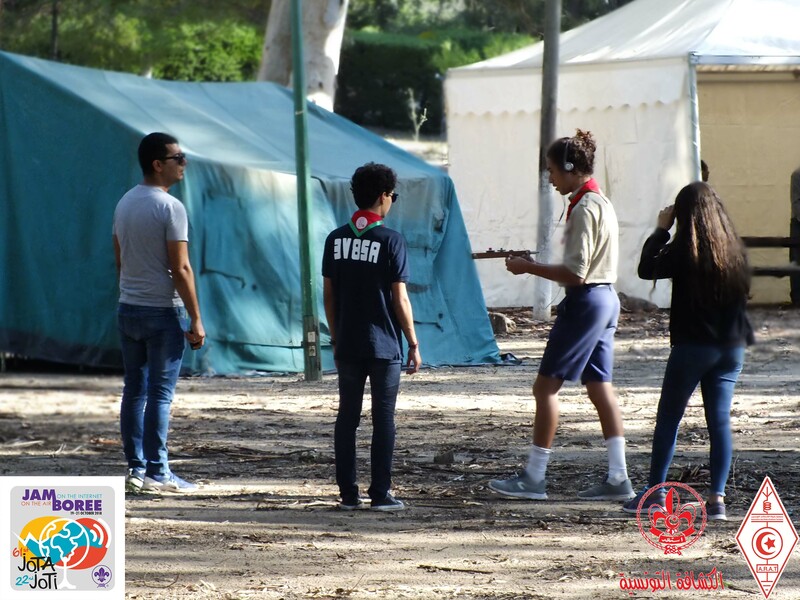 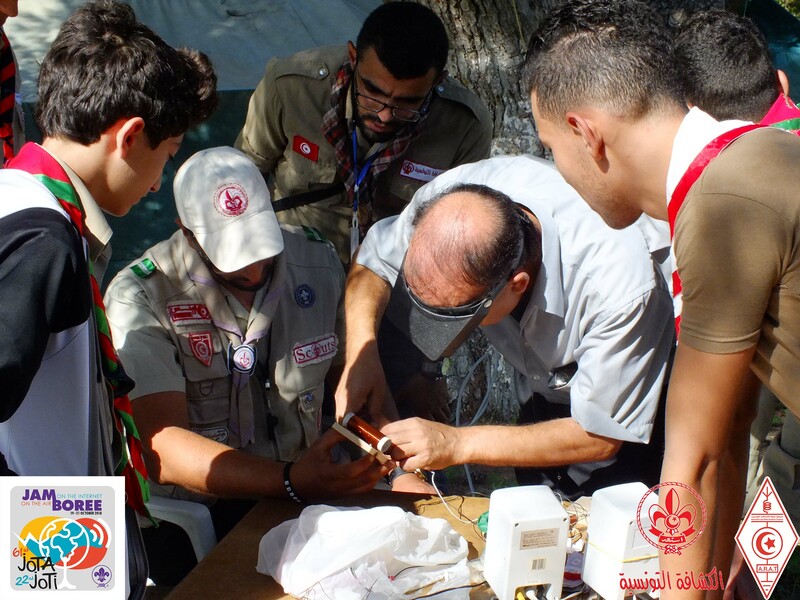 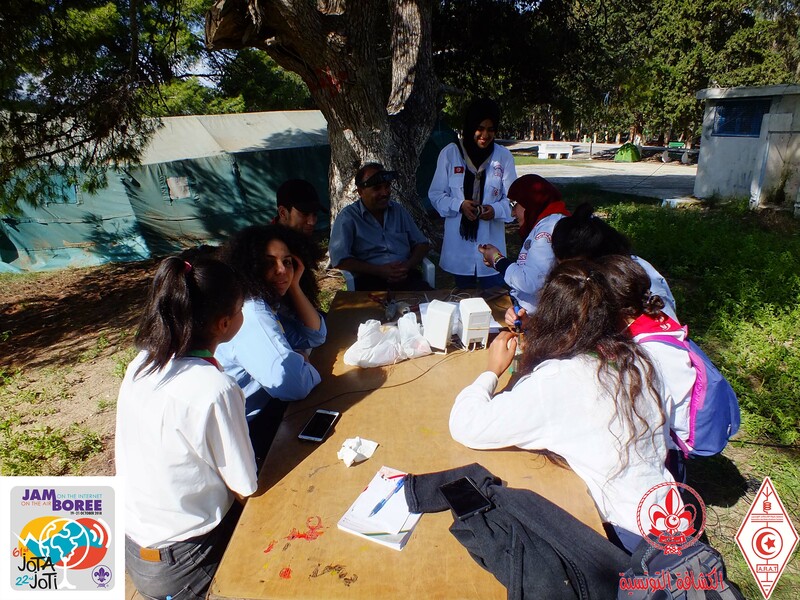 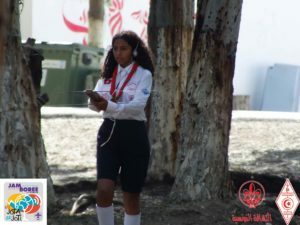 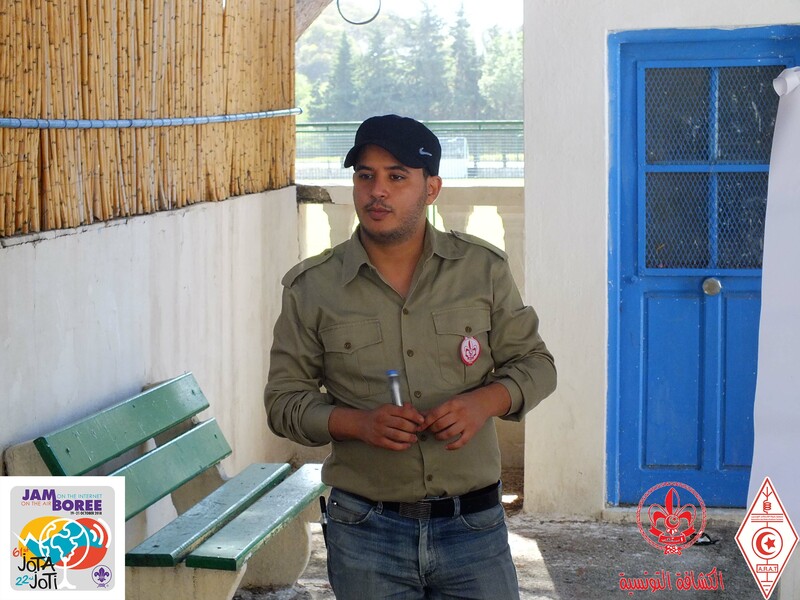 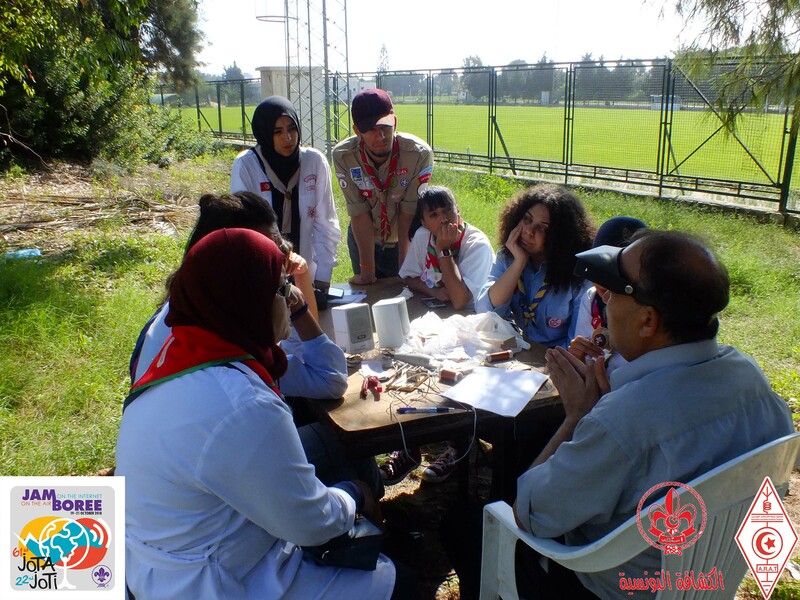 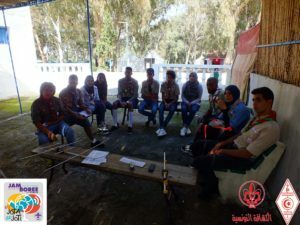 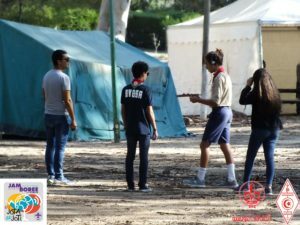 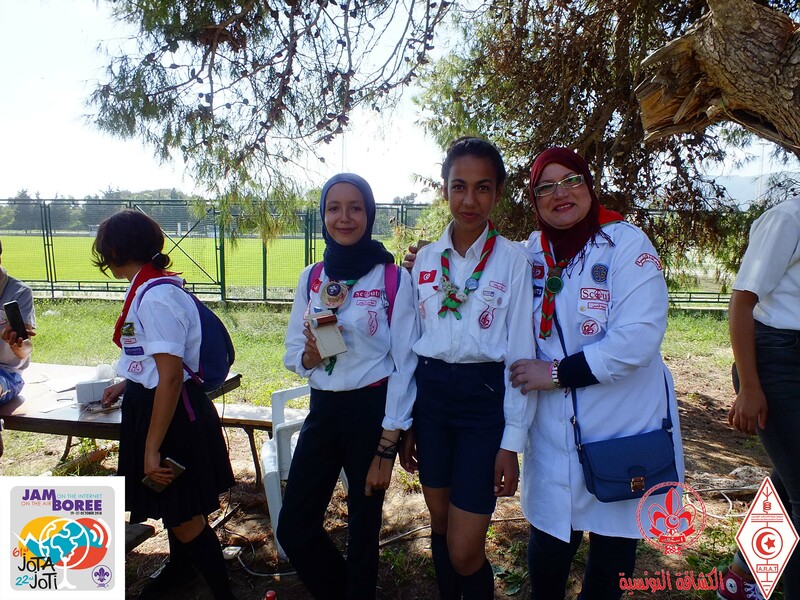 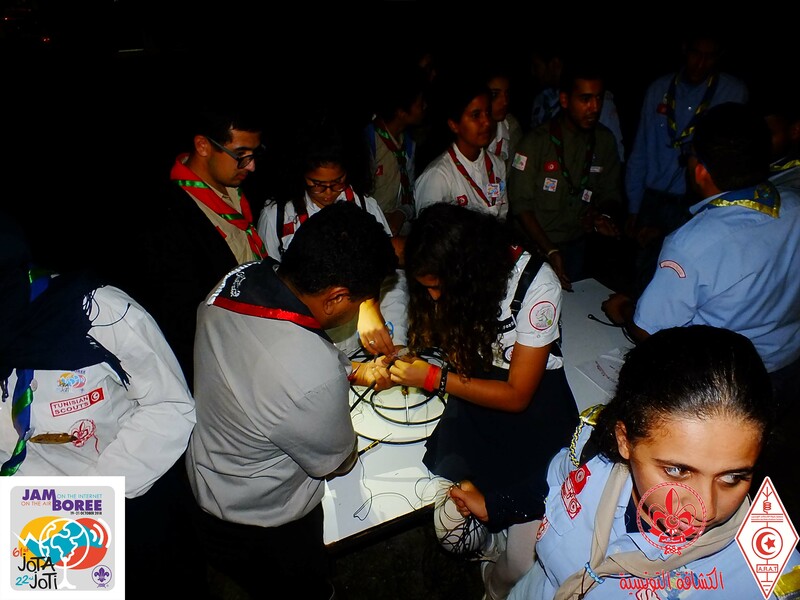 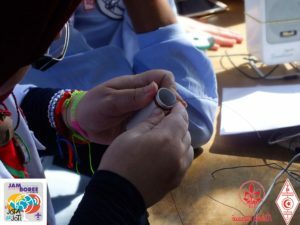 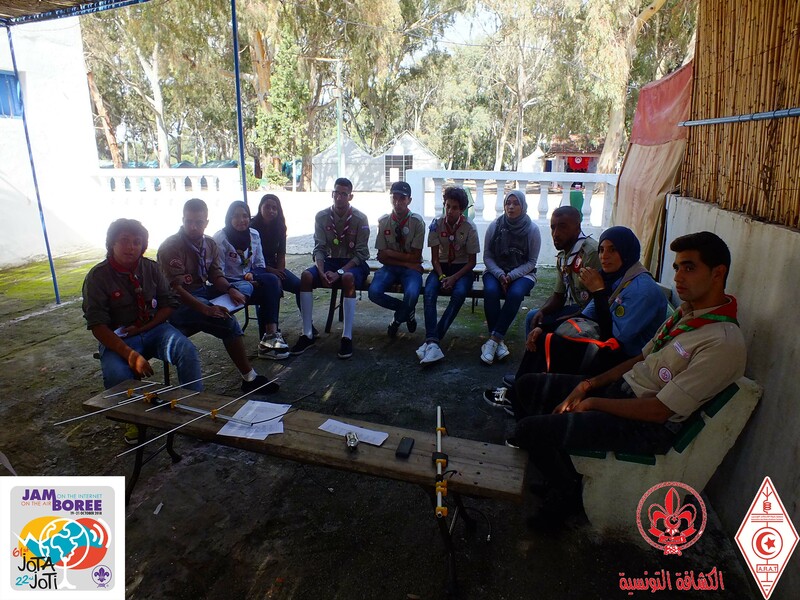 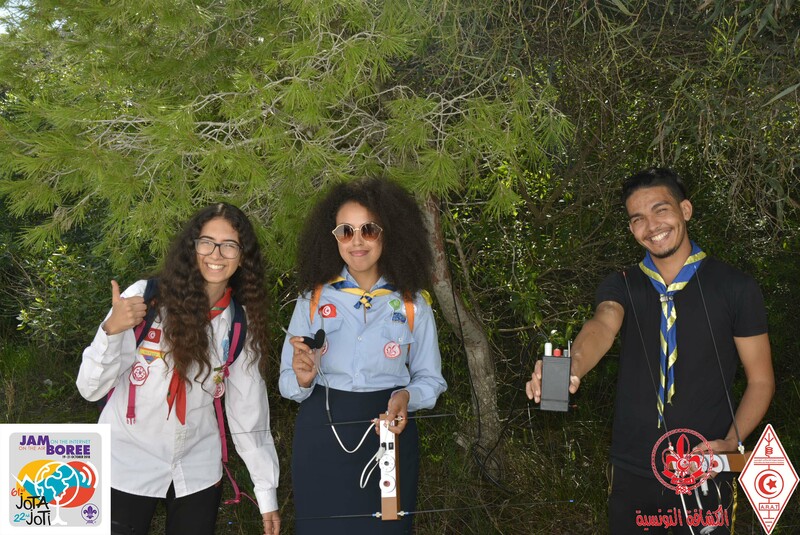 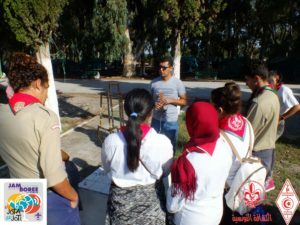 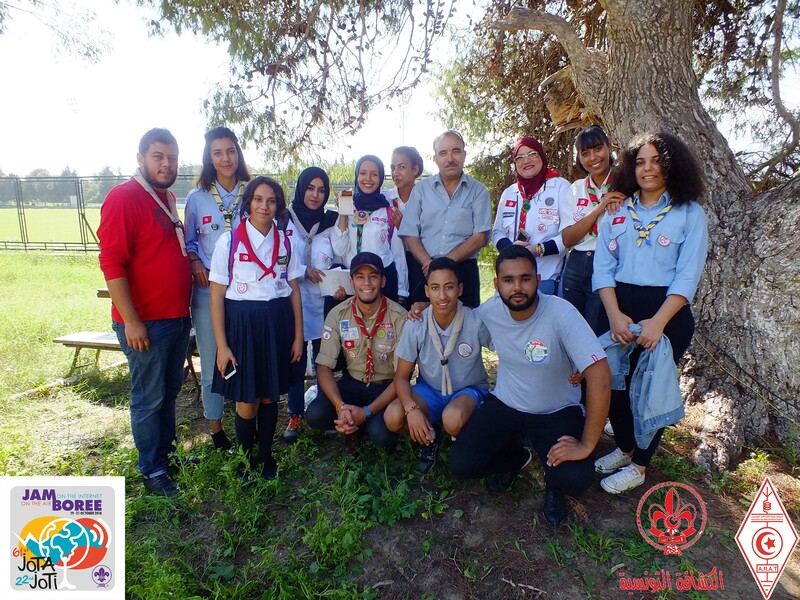 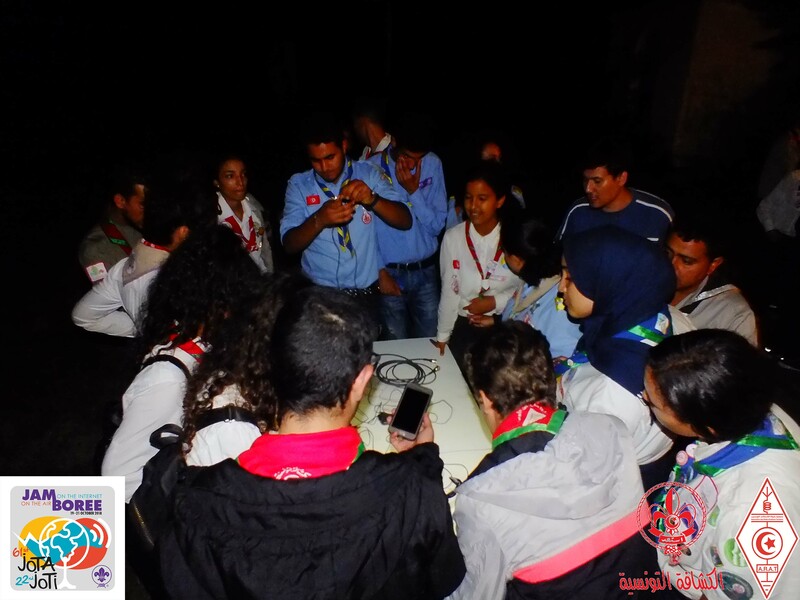 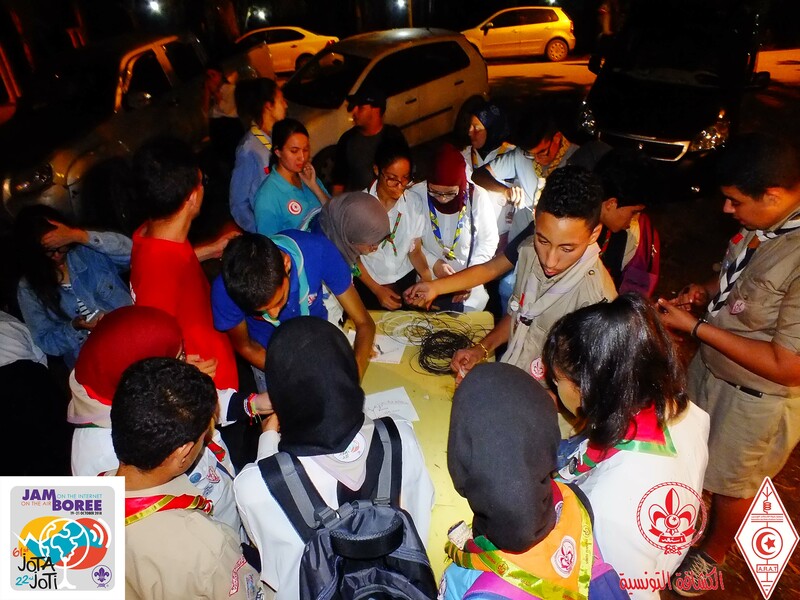 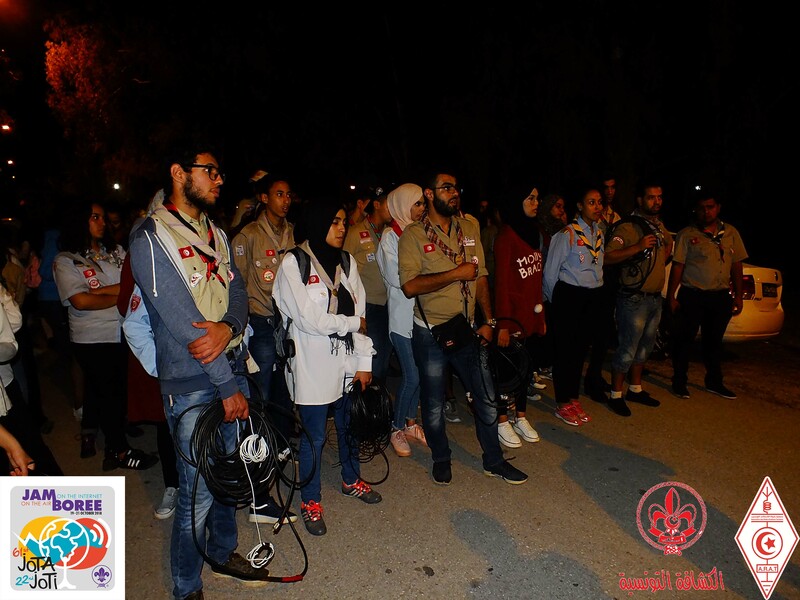 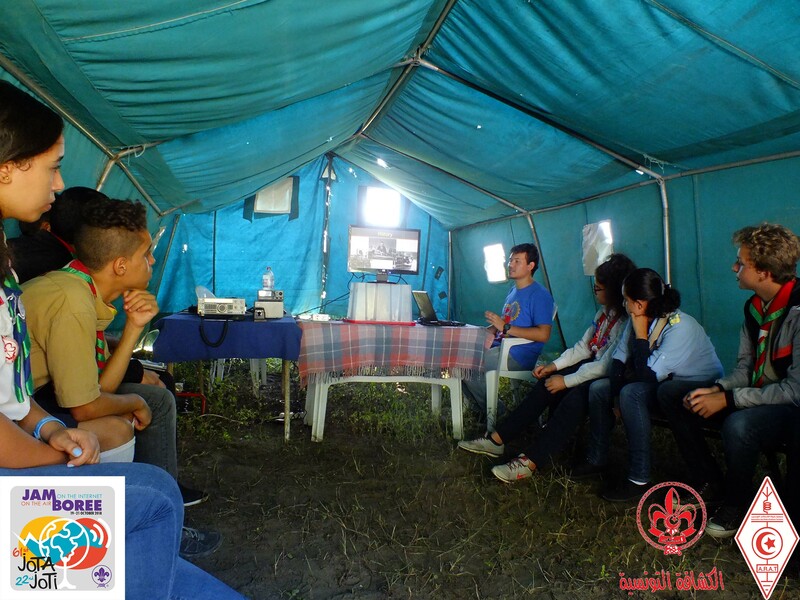 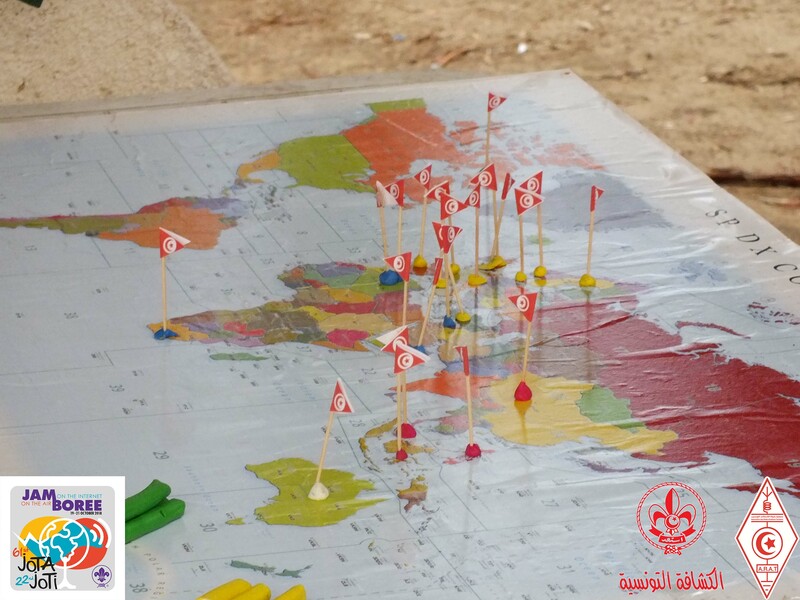 The Association of Tunisian Radio Amateurs participated, in coordination with the Tunisian Scouts, in planning the Jamboree on air / on the Internet program, which was held this year on 19, 20 and 21 October 2018. 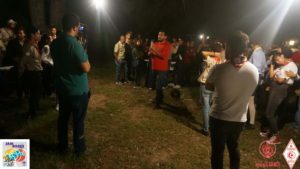 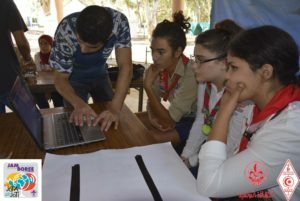 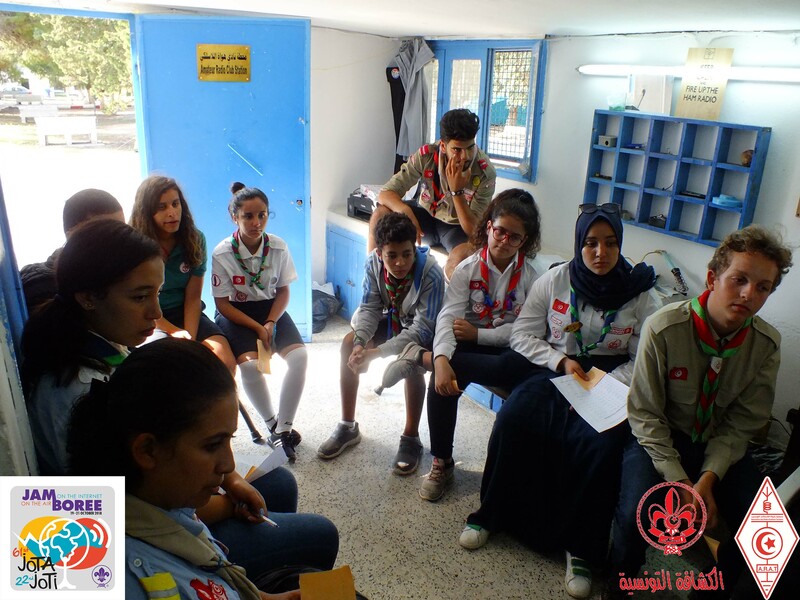 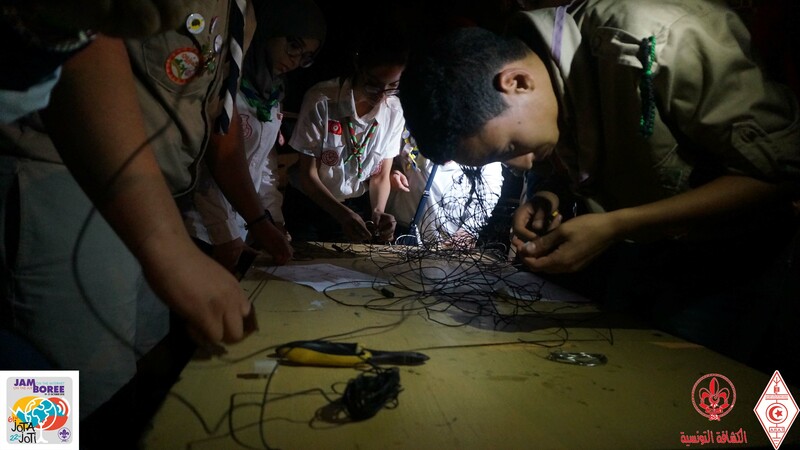 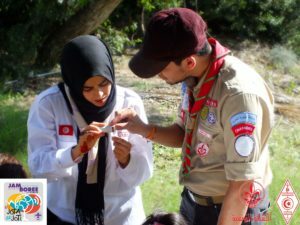 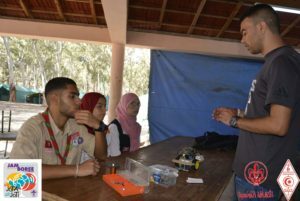 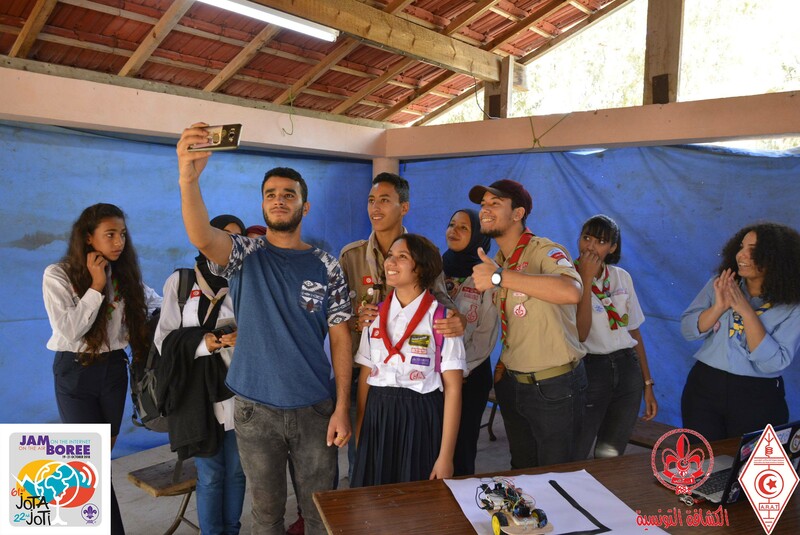 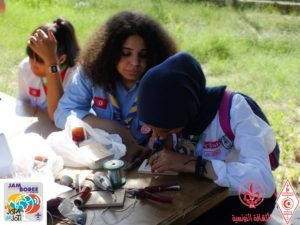 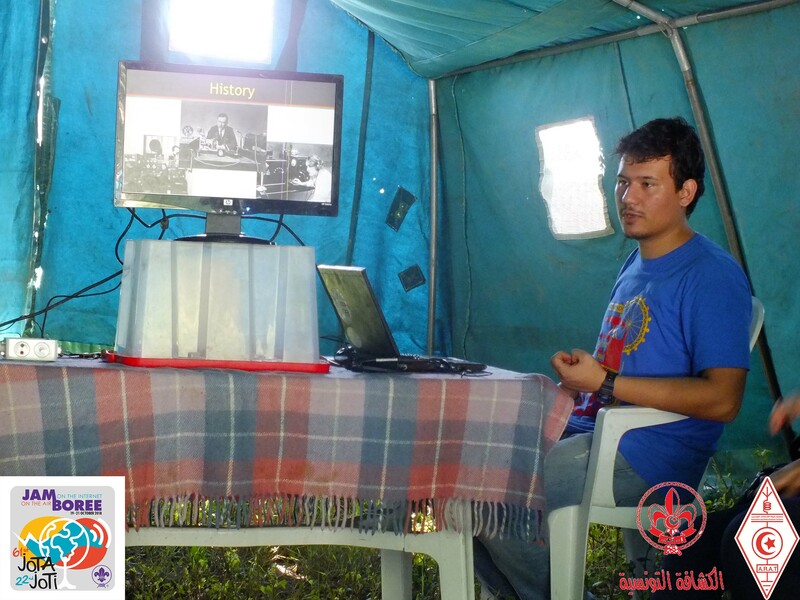 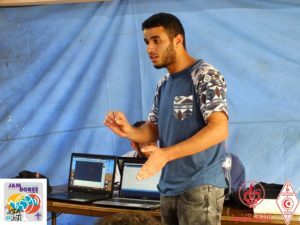 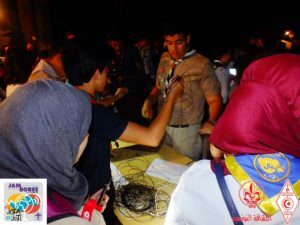 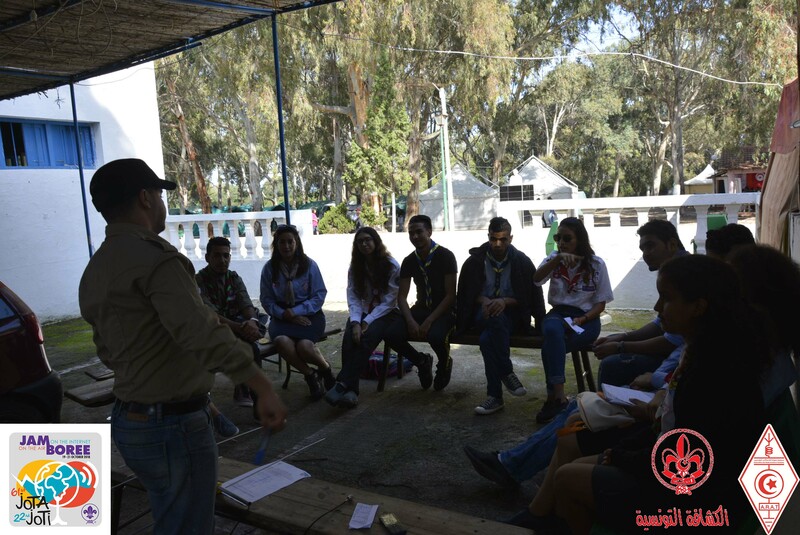 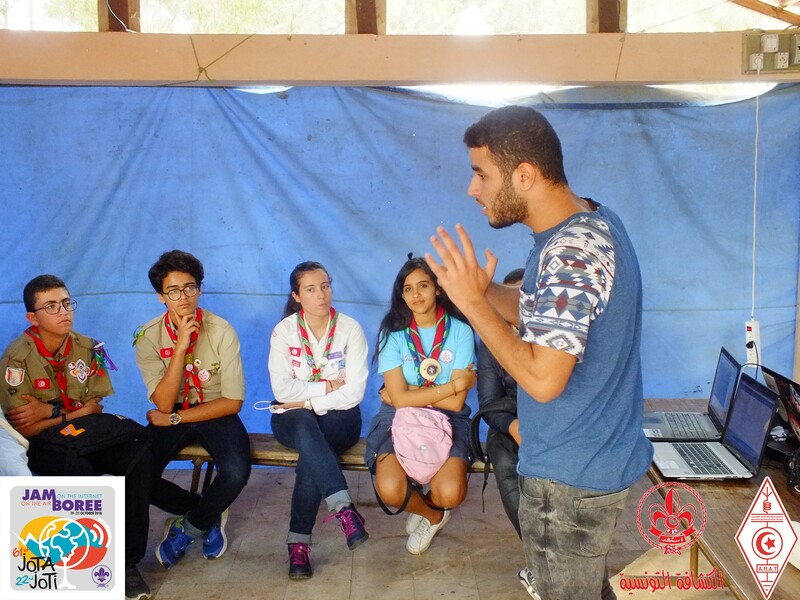 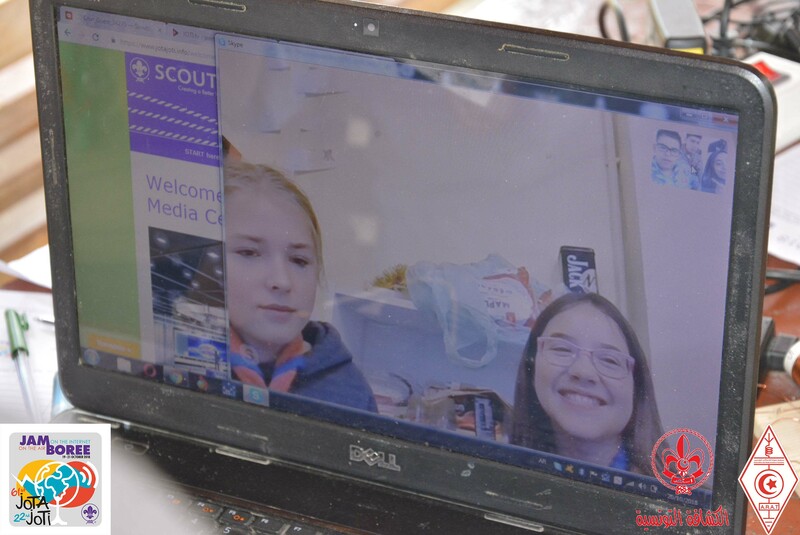 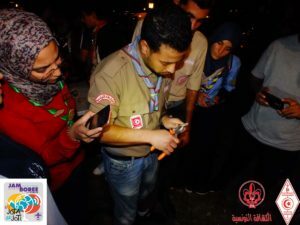 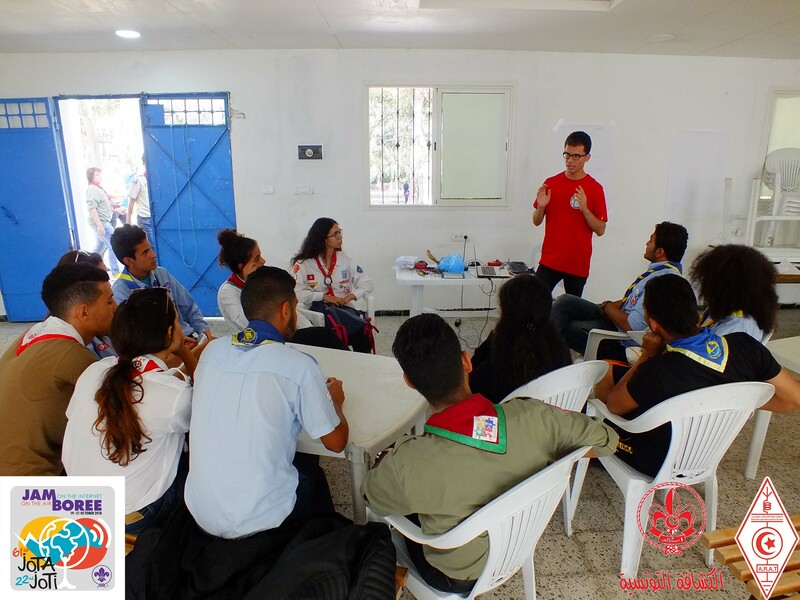 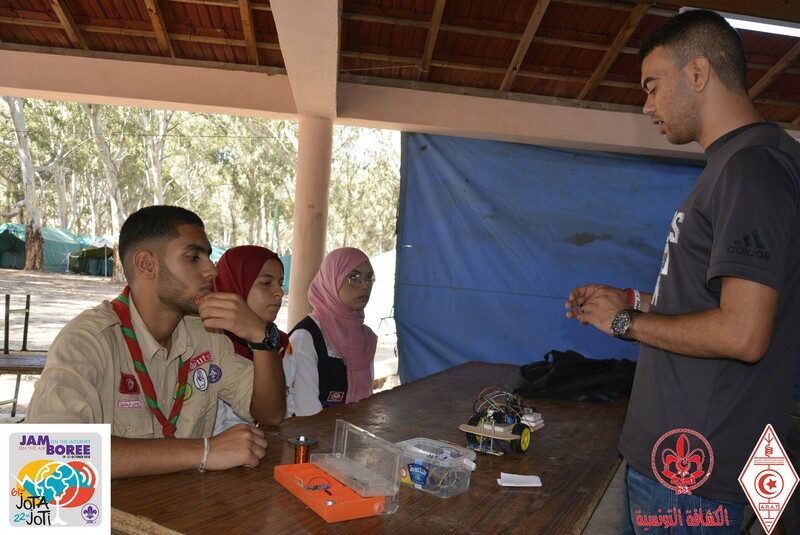 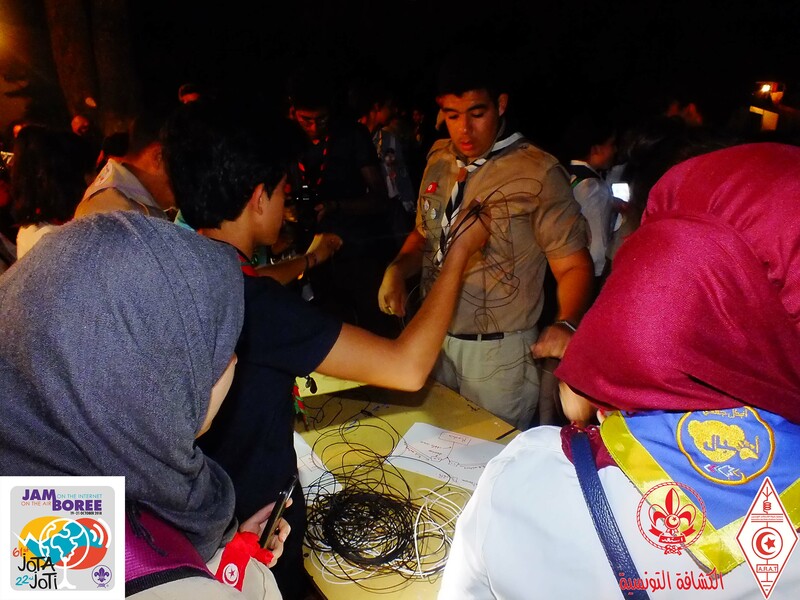 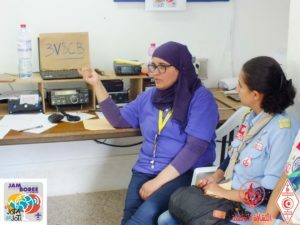 The first day program consisted of receiving participants, delivering words by the organizers, introducing the attendees to the program, and exposing them to the world of ham radio through a general and comprehensive workshop. 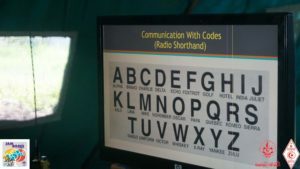 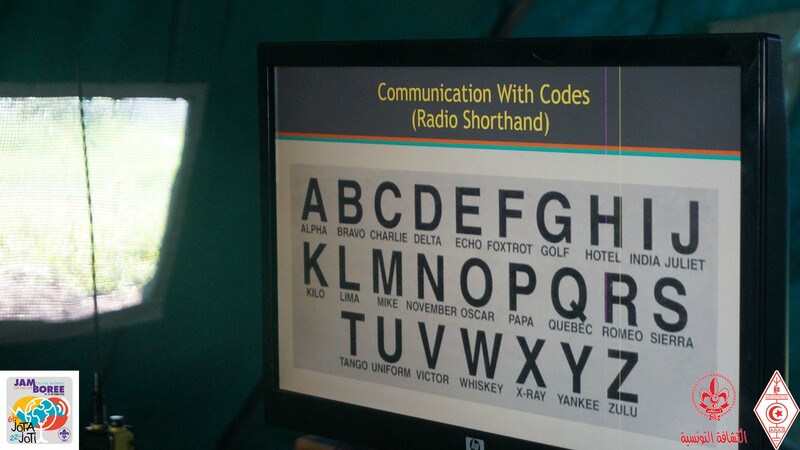 – Workshop on how to use the radio, procedures for communication. 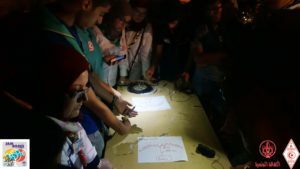 – Workshop to learn about the world of electromagnetic waves and antennas. 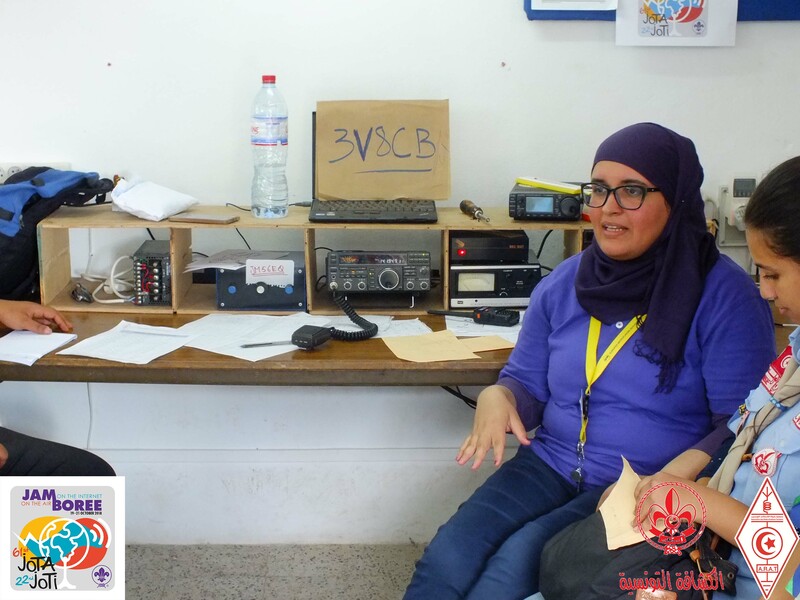 – Workshop to identify the world of digital communication, its importance in the world of amateur radio, and the methods adopted. – Workshop to learn about the world of electronic programming with application example using Arduino. 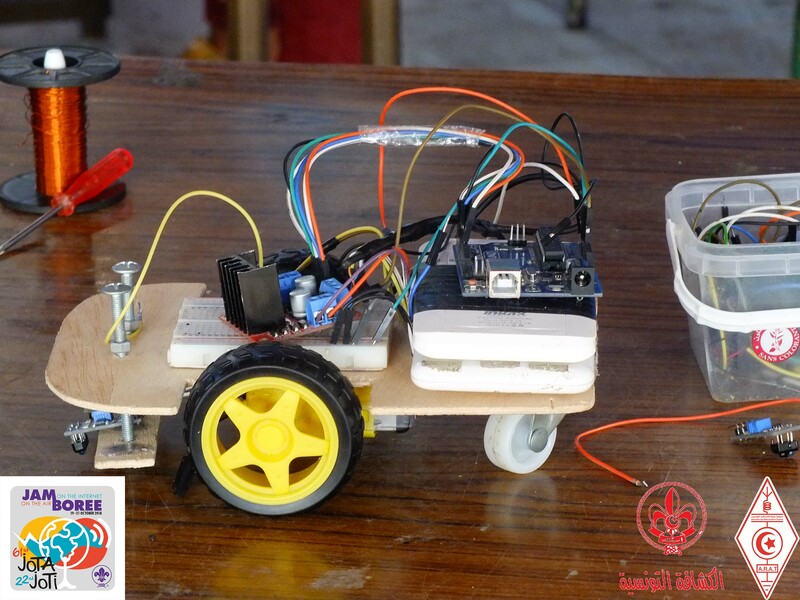 – Workshop to identify the world of robotics and mechanisms using Arduino. – Workshop to make a crystal receiver. 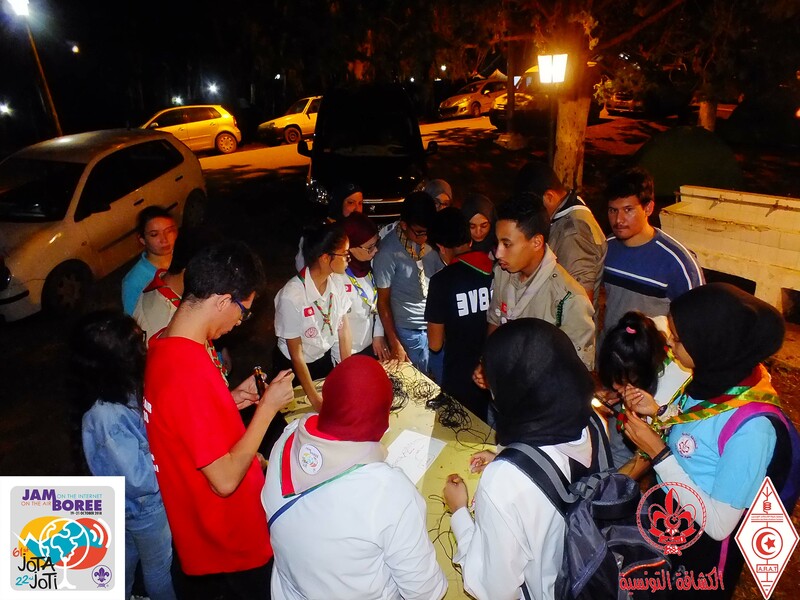 The day ended with a classic activity for this event, called the Great Game. 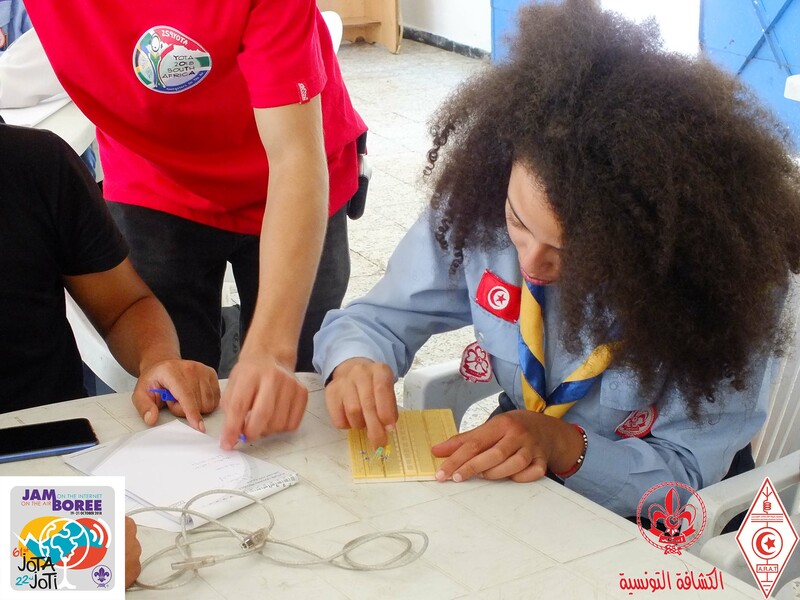 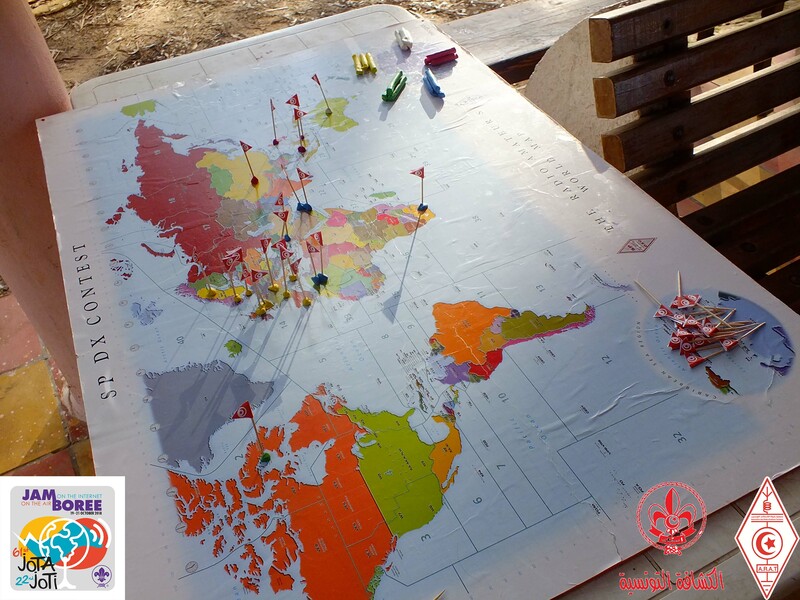 This game is design to mainly test what the participants have learnt from the various workshops. It consisted of dividing them into several teams, who’s tasks are making an antenna and then finding a station with scattered components, then install it, and then operate on it, in order to experiment with the antennas made and at least obtain a correct call sign. 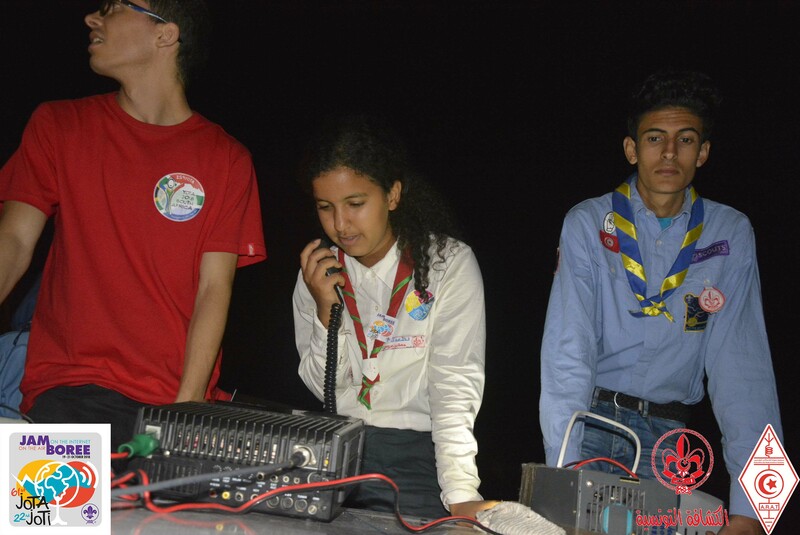 All teams were able to pass through all stages one of which managed to make a successful QSO. 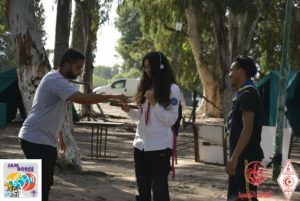 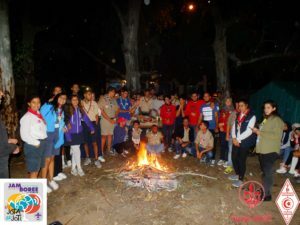 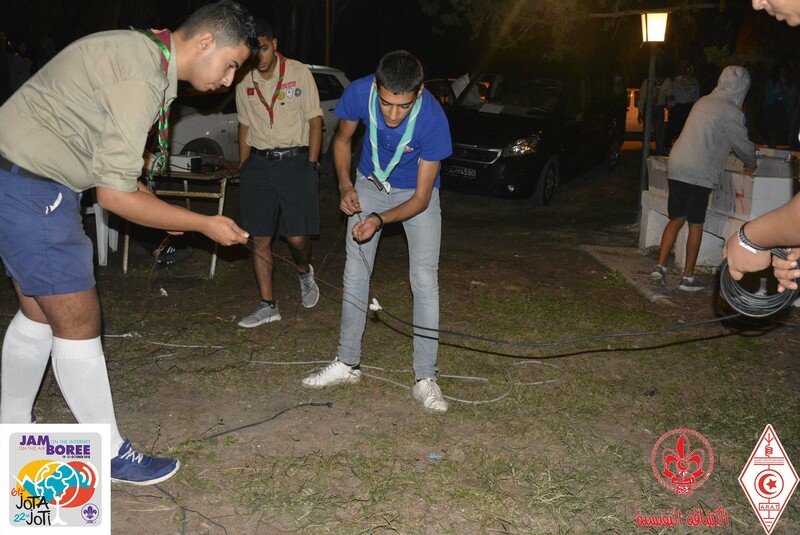 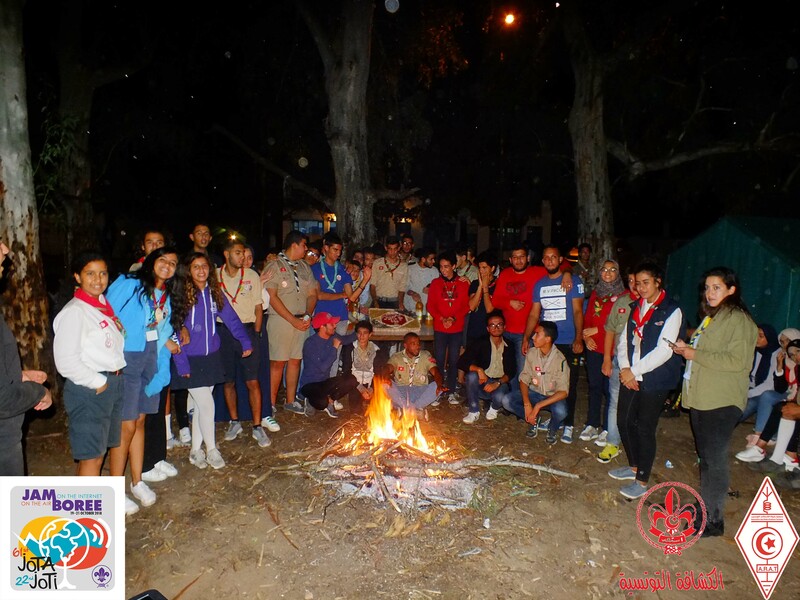 The game was followed by a ceremonial atmosphere of a Tunisian scout tradition, which is known as “Camp fire”.